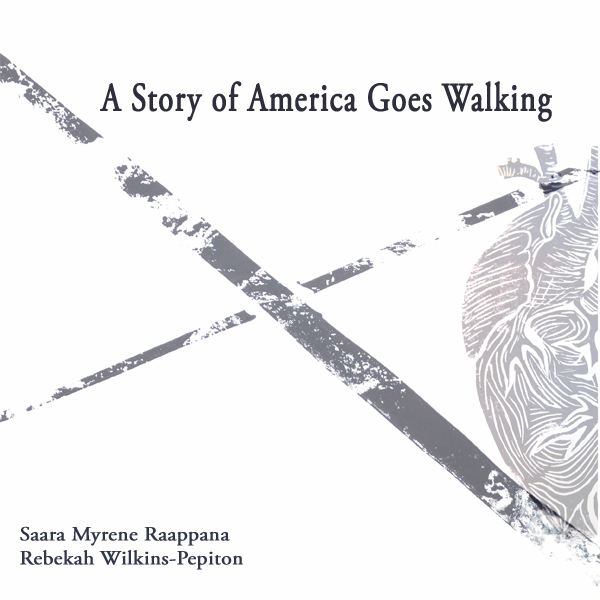 In A Story of America Goes Walking, poet Saara Myrene Raappana and artist Rebekah Wilkins-Pepiton wrestle with Henry David Thoreau’s 1862 essay “Walking”, traveling from Thoreau’s New England pond to the forests of the U.S. Midwest and on to the Chinese southwest, exploring the myths of America. Whether told by kids playing make-believe, the map-like curves of the human heart, or women waiting in a hospital room in Chengdu, the only way to figure out which stories are true is to walk through them. Saara Myrene Raappana writes, “Let us each know ourselves as wild, spinning universes. / Let us each feel tethered to a single center, dizzy.” Reading these poems and experiencing the swirling art of Rebekah Wilkins-Pepiton encourages the reader to spin back to the idea of sauntering as Thoreau considers it at the start of his famous essay. To put it more succinctly, A Story of America Goes Walking is a book of sauntering, of moving toward, into, and through the holy land and moving with the attentive eye and ear of an exile. 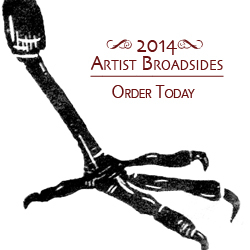 This is a book that meditates on unrootedness and the sacred, as well as who gets to decide such demarcations. Enjoy this collection—a rare and fine one—where text and image seem bound together in the best sort of synergistic energy. – Tod Marshall, 2016-18 Washington State Poet Laureate and author of Bugle.